So what they say about the golden hour is true! It makes any picture you take look a million times better. It's like magic! Turns your photos to gold I could say... anyway moving swiftly on. 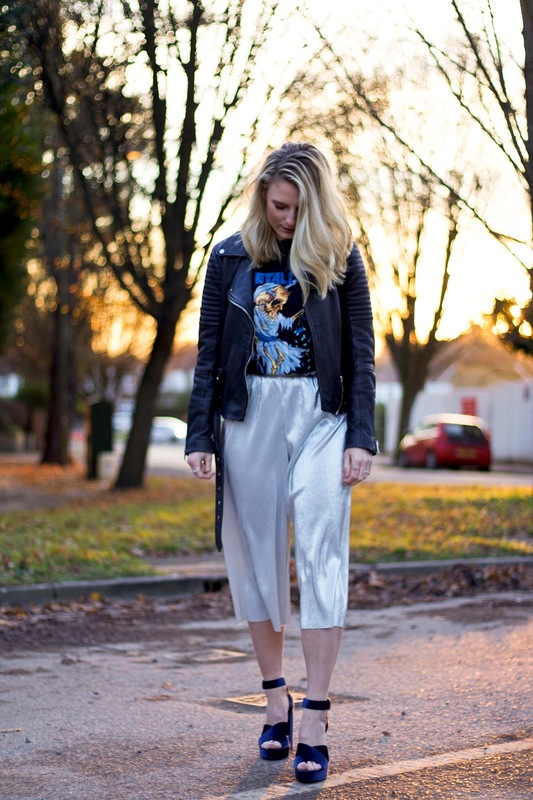 This outfit has to be one of my favourites that I have shot so far - I bought these silver culottes in the summer and I have really struggled to style them. They are one of those items I kept putting on but just didn't look quite right with anything. Then the whole band tee trend kicked in and voila! a match made in metallic heaven. I've probably made a fashion sin by wearing far too many textures in one outfit. However, these miu miu inspired velvet heels from Bershka are some of my absolute favourites for the festive season and they were perfect for dressing up this more casual outfit for a night out. Next time I wear this outfit though I am most certainly going to jump on the fishnet socks and heels trend because I think it looks so cool and I think I might just be able to pull it off! 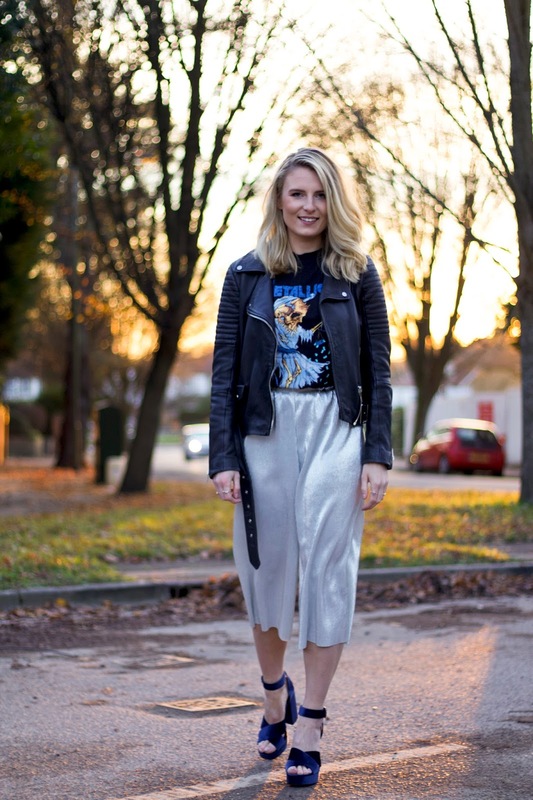 I am so excited to start going out and celebrating Christmas - I think this would be a perfect outfit for some Christmas drinks - if you can't wear metallic and/or velvet at Christmas when can you! What do you reckon? The pictures do look great and so does your outfit. When is the golden hour?